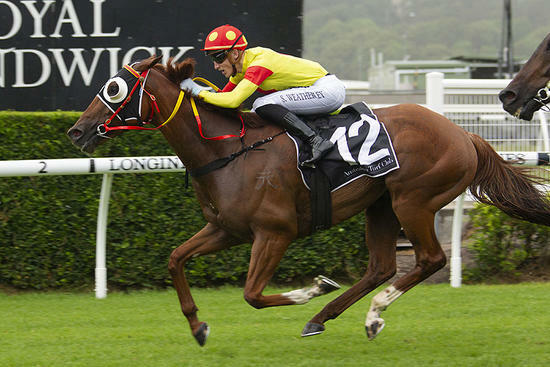 Mercurial Lad made every post a winner as he notched up a thoroughly deserved city success in fading light at Randwick. The Joseph and Jones-trained runner contested the Australian Turf Club Benchmark 78 Handicap (1550m), the final event of the nine race card at Randwick. From a wide draw, the son of Pendragon broke well for apprentice Sam Weatherley and was taken straight to the front. While challenged into the straight by the Chris Waller-trained Sparky Lad , Mercurial Lad was able to shake him off and hold the closing Tahsin at bay for a half length win. “It was a fantastic win,” Stable Representative Zane Jones said. “Full credit to Sam Weatherley because he isn’t an easy horse to ride. “Originally our plan wasn’t to lead from the barrier but the horse jumped so well and pulled himself to the front. The win for Mercurial Lad was also the first metropolitan success for the Joseph and Jones since Matt Jones officially joined the partnership as a licensed trainer. “It was Dad’s first city winner too which made it all that sweeter,” Jones said.